Lemoniest Little Lemon Loaf from Christina Marsigliese, our new source for “Scientifically Sweet” recipes. I love all citrus-y desserts, the tarter the better! And right now, having shoveled snow almost every day, I wish we could be back where the biggest lemons grow, the Amalfi coast! 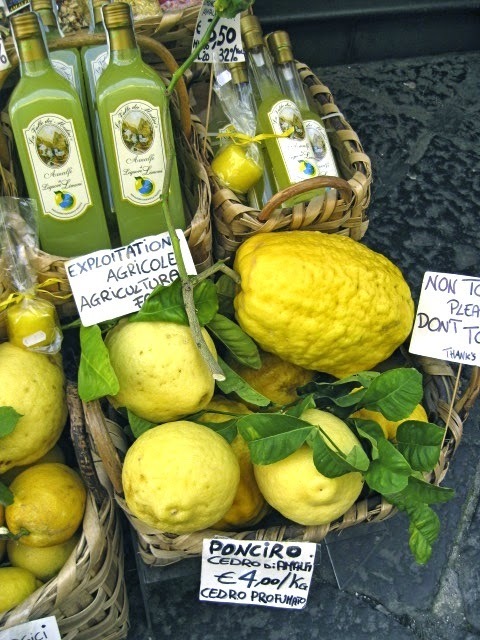 Lemons (and Limoncello) in Amalfi – I wish we were there! A whole cake is always a bit too much for two people who are forced to eat all their output (and they love to cook! 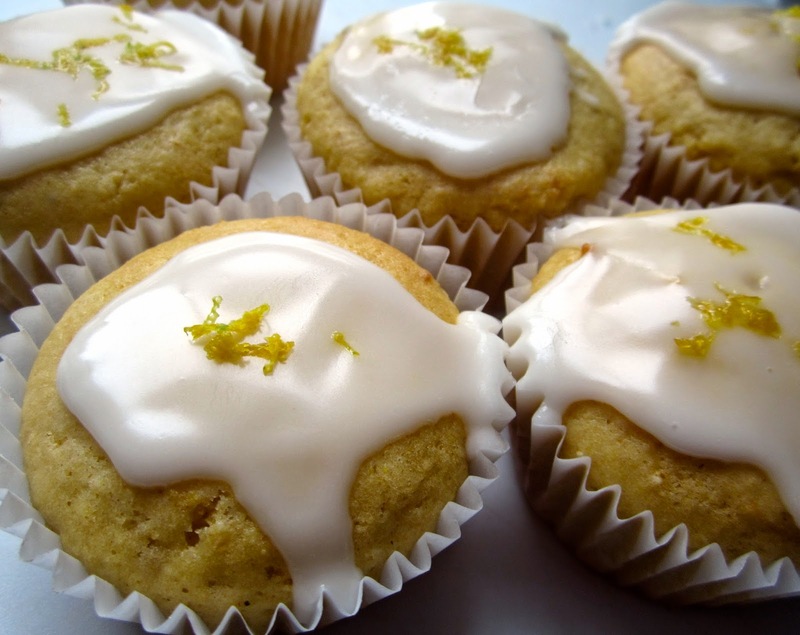 ), so I decided to make cupcakes instead, with a bit of lemon glaze for even more citrus flavor. Since the cake contained cornmeal, I did not smuggle some whole wheat in the batter (what I usually do), and because Christina’s cake didn’t seem overly sweet, and had a lot of lemon juice, I didn’t reduce the amount of sugar, either. True to their name, the cupcakes tasted very lemony, indeed. A little trip to Italy for our taste buds! Preheat oven to 350°F/175ºC. Line a standard muffin pan with paper liners. 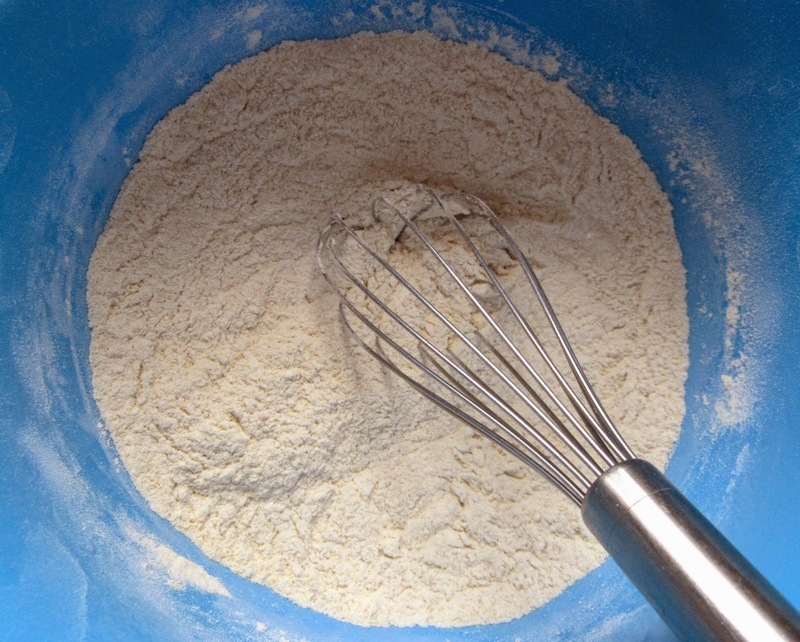 Using a whisk, stir together flour, cornmeal and baking powder in a medium bowl until well combined. 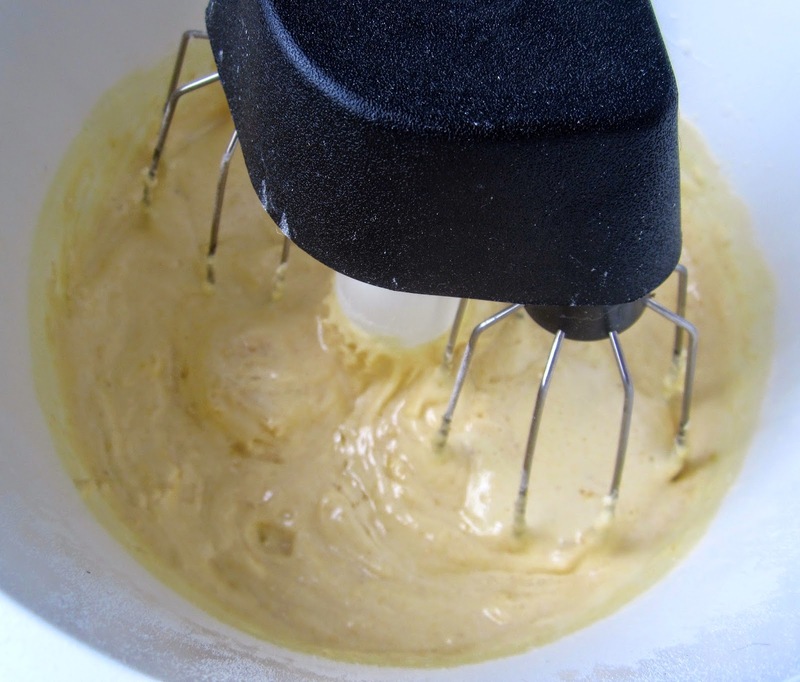 In bowl of a standing mixer (or hand held mixer), whisk eggs, egg yolk, lemon zest and salt on medium-high speed until foamy, about 40 seconds. With the mixer running, gradually add the sugar. Then increase the speed to high and continue beating until mixture is very pale and almost white in color, about 5 minutes. It should nearly triple in volume. 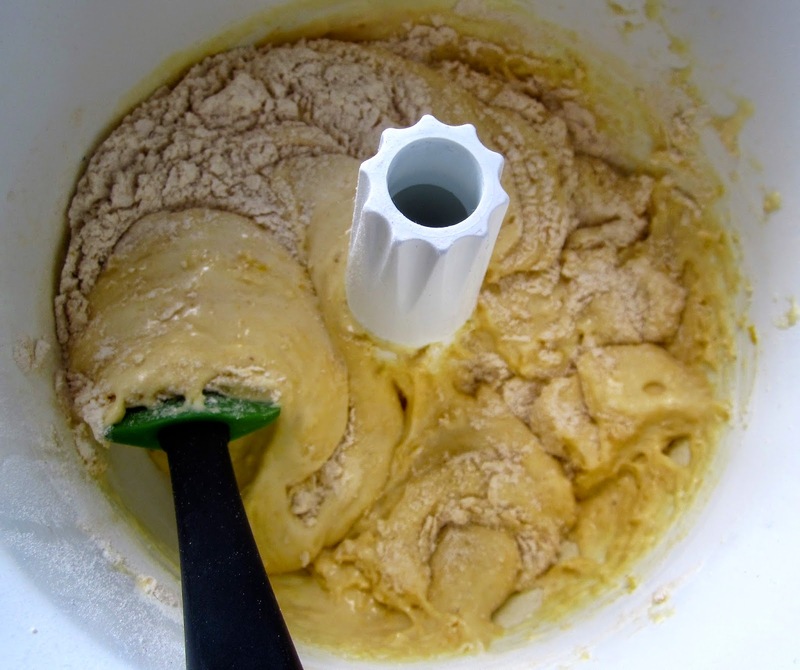 Fold the dry ingredients into the egg mixture, first with the whisk attachment…. In a small bowl, stir together oil and lemon juice. Using the whisk attachment, fold 1/3 of the flour mixture into the egg mixture. Add 1/2 of oil mixture and fold until almost blended. Fold in 1/2 of remaining flour mixture followed by remaining olive oil mixture. Finally, by hand with a rubber spatula, gently fold in last 1/3 of the flour mixture until evenly incorporated. 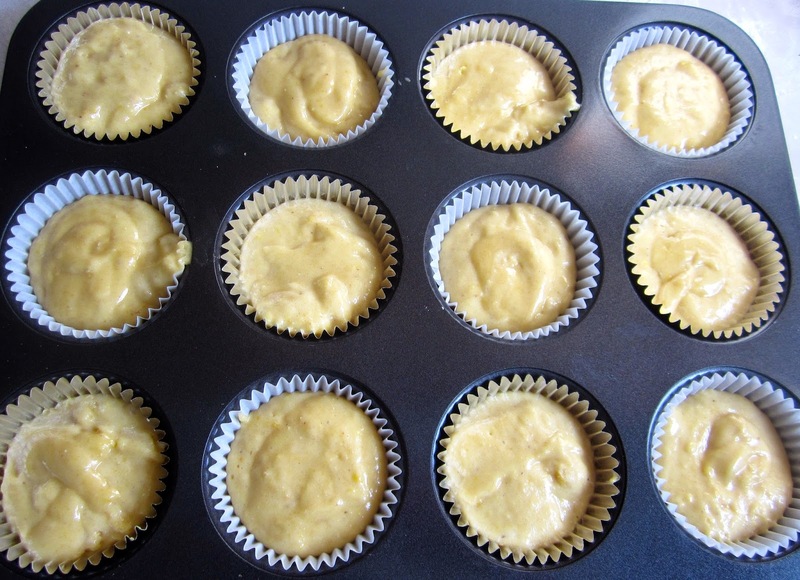 Distribute batter evenly in cupcake liners (I use a 1/4 scoop). Place muffin pan in the middle of the oven. Bake cupcakes until they are pale golden, but still springy when touched, and a toothpick comes out clean, about 20 minutes. 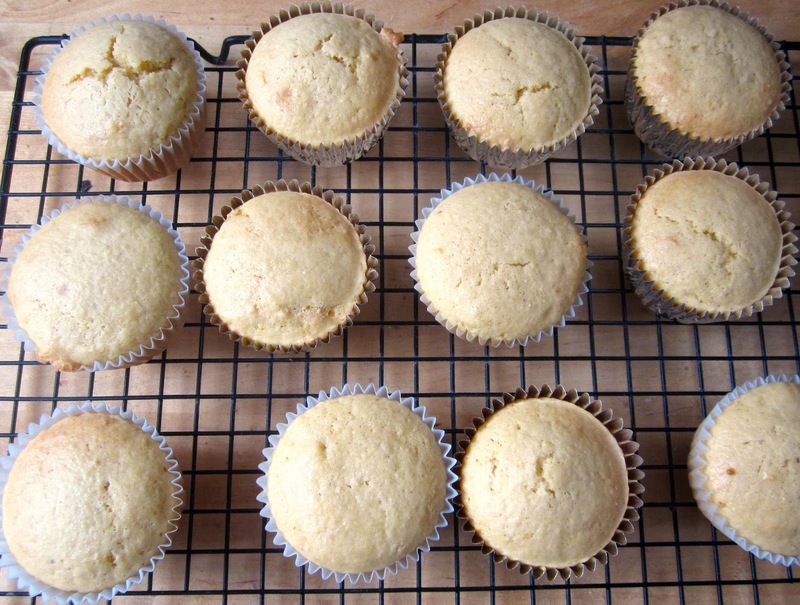 Let cupcakes cool in the pan for 10 minutes, then remove them from the pan, and transfer to a wire rack. For the glaze, mix confectioner’s sugar with enough lemon juice to make a thick but still liquid icing. Spoon glaze (about 1 teaspoon each) over tops of cupcakes. Decorate with a little bit of lemon zest. You have all the right ideas. 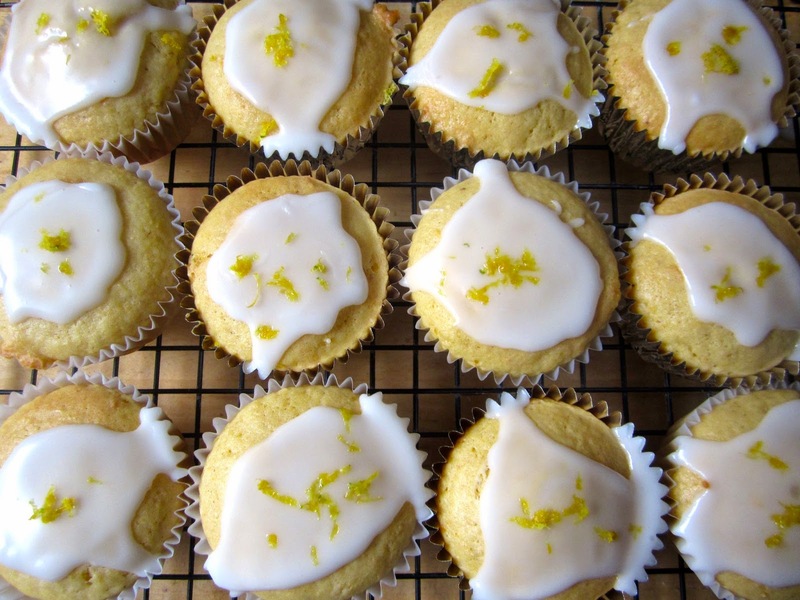 Escape to the Amalfi coast, the lemon glaze, the cupcakes. I kept on nodding my head while reading your post. Fun to read! Well, they sound like a winner…on my list! thank you and stay warm, ya right she says. Thanks! What else can one do than dream of of Italy or bake something comforting against the freeze? The cupcakes look so cute. Love the glaze. Bring on the lemon. Susan, I shoveled snow again this morning, but we have a nice wood stove, and a cozy kitchen. I don't like it too sweet, but the glaze is gives them an extra lemon kick. Love your cupcake idea (which I “borrowed”) 🙂 The simple glaze on top makes them really elegant. I'm glad you liked these. Yes, it does look like cornbread – I like the taste of the cornbread and didn't mind the slight grittiness.